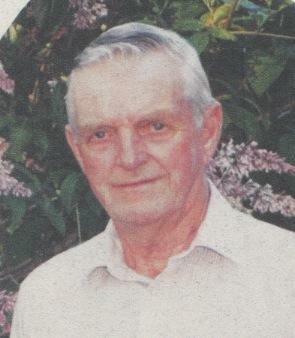 Passed peacefully away on July 8, 2010 at the Labrador Health Care Centre, Joseph Battcock in his 79th year. Predeceased by his son Brian, parents Margaret and Gregory Battcock, sisters Mary Tilley and Ester Gilmore and brother John. Leaving to mourn wife Anita, daughters Diane, Janet (Andrew) Earp, Margaret (Bill), sons Reg and Donald (Nancy). Grandchildren Andre (Janice) Cerqueira and Natasha Cerqueira, Alicia Battcock, Brian Battcock, Cynthia Battcock and Jordan Gibbons (father Gerry). Great grandchildren Max and Jake Cerqueira. Siblings Edward (Anne) Battcock, Ronald (Rose) Battcock, Steve Battcock, Dorothy (Walter) Kullman and William (Anne) Battcock. Mass of Resurrection held at Queen of Peace Church, Happy Valley-Goose Bay on July 10, 2010. Interment at Roman Catholic Cemetary.